Practical advice for parenting adopted preschoolers, from ages 3 through 5. Many children in foster care have delays in conscience development. A few have no conscience. It is important that parents understand conscience development and identify ways to facilitate growth in this area. Little ones can be overwhelmed by excitement during the holidays. Here's how to help your preschooler regulate her emotions. When to encourage your child's flights of fancy, and when to insist on truth-telling. The best ways to promote your preschooler's literacy skills. As kids meet new friends—and their families—they face new questions about their past. When your preschooler asks questions about adoption, use these age-appropriate answers that emphasize your family's love. Through normal, imaginary play, children in the preschool years can conquer their fears, conjure their birth mothers, and learn to understand their stories. Sometimes, a behind-the-scenes talk with the teacher better serves your child than a class presentation. 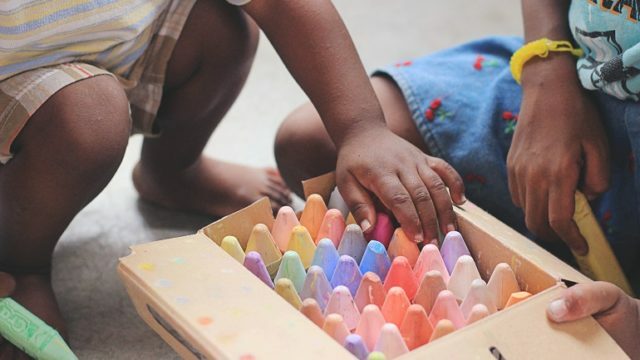 Preschoolers are starting to notice racial differences. Adoptive parents have a responsibility to talk about them. Our children learn from us how to express emotions. [Book Review] Wild About You! Judy Sierra's fun and heartwarming book is perfect for bridging the topic of adoption with young children. Even preschoolers can get stressed by holidays. A few simple games and activities can ward off the meltdowns.